Image 1. 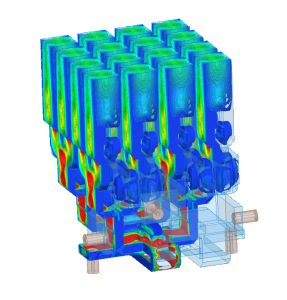 Extreme parts consolidation of antenna systems enables reduced size, weight, lead time and cost while boosting RF performance. 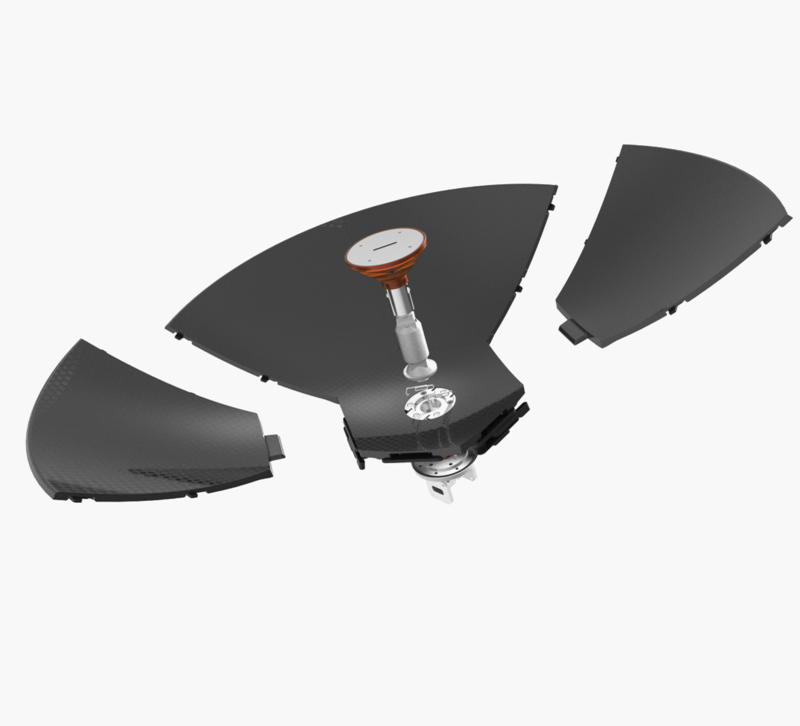 Shown is an aircraft antenna with reflector (bowl shape), an antenna feed (running horizontally through its center), and an Ortho Mode Transducer (protruding through the rear). The latter two were optimized by designing them for 3D printing. This spring, Optisys released metrics demonstrating the savings possible in weight, time and costs through parts consolidation. The example was a Ka-band monopulse tracking array; the company is developing a full line of customizable antenna feeds and other antenna products, and they delivered their first commercial products to a customer this summer. Image 2. 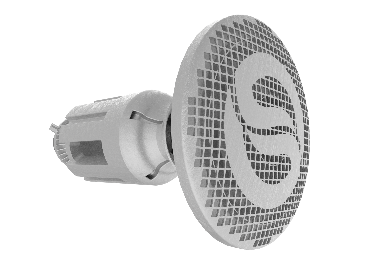 Examples of 3D-printed metal antenna feeds customized by Optisys and produced in their Concept Laser AM machine. Cathey and COO Rob Smith came together to form Optisys with a like-minded group of colleagues who share a combined 60 years’ experience in the aerospace systems world that includes radio frequency (RF) design, satellite communications (SATCOM), mechanical engineering, and additive manufacturing. “We had the total package for generating full antenna systems—and with our experience in AM we saw the potential to put everything together to fill a void in this niche market,” says Smith. Image 3. 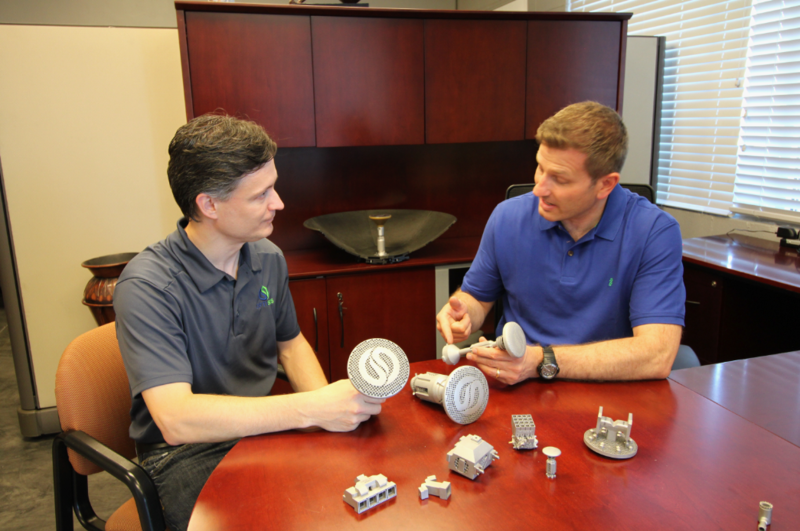 Optisys CBO officer Janos Opra (left) and COO Rob Smith (right) with antenna components produced via 3D printing. The ability to consolidate parts with AM was what sparked the idea to form Optisys, says Smith. “We had a high degree of intuition that 3D printing would solve many of the problems we’d been fighting in our past experiences with antenna manufacturing,” he says. Image 4. 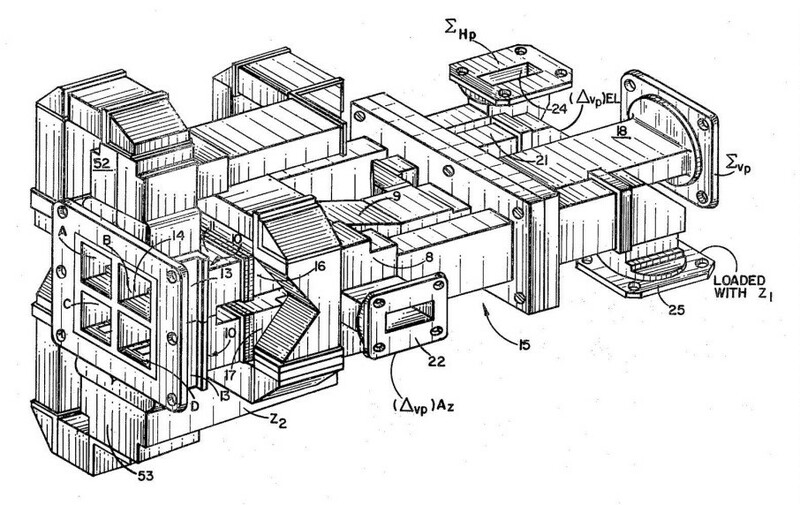 Complexity that can affect RF: Drawing of a metal antenna system to be manufactured according to traditional methods. The antenna horn is represented by the four square holes at left. Those problems add time and money to traditional antenna manufacturing, as there are often a huge number of parts in a conventional design: typically a daunting array of 100 or more individual metal components—including the hollow, rectangular waveguides so critical for channeling the electromagnetic energy carrying the data—that are joined together via brazing, plunge EDM and/or multiple bolted joints. Image 5. 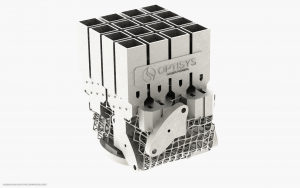 Optisys designed and manufactured this one-piece, functional assembly antenna by optimizing a 100-piece design for additive manufacturing in their Concept Laser metal machine. 3D printing, by contrast, supported the type of systems-engineering approach that Optisys envisioned for building their business. By viewing an antenna assembly as an integrated structure in which all the parts are combined into a single functional one, they realized they would be able to reduce lead times from months to weeks, cut size and weight dramatically and improve costs to their customers. The biggest “something” they identified delivered the most convincing value proposition to potential customers: the smaller size of their additively manufactured products greatly shortened the overall distance that an RF signal had to travel within the system—a huge benefit to antenna performance. Extreme accuracy is not necessary for, say, a car antenna, which picks up signals from 360° around the vehicle. But directional, microwave antennas—used for most satellite and line-of-sight communications, aircraft and UAVs—operate in the 1-100 GHz frequency band. In those industries, light weight is highly desirable. “We found a sweet spot for 3D printing where the technology provides many benefits and is also economically advantageous,” says Cathey. 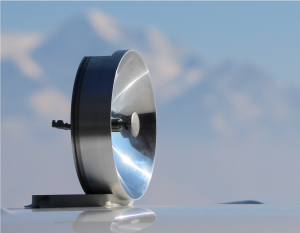 “With our Ka-band monopulse tracking array we tested RF frequencies to 30GHz, which is much higher than anyone else was doing; other companies have only reached 5-15 GHz.” As with all their products, the Ka-band array was evaluated for both bench and outdoor RF range performance. Similar designs have passed rigorous vibration testing for “military ruggedness.” Subsequent Optisys designs have reached up to 50 GHz in RF capacity. Image 6. 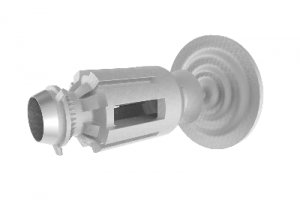 Optisys makes antenna feeds like the one in the center of this segmented antenna. The black reflector shown, made by a partner company out of composites, completes this lightweight antenna intended to disassemble and fit into a soldier’s backpack. 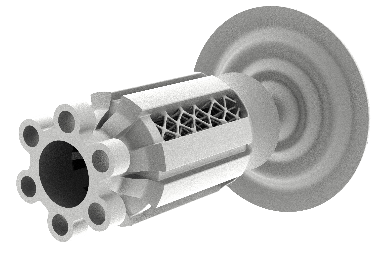 This feed (long structure in the middle) includes a 3D printed polarizer that is cost effective and lightweight. Optisys’ Concept Laser metal AM machine provides the build quality to achieve such results, Smith notes. “I’ve been very happy with their fine resolution, their nice surface finish, the superior human-factors element of working with these printers,” he says. “We felt confident that we can meet the type of feature resolutions that we need with them.” Aluminum is the material of preference for a build; it stands up better than plastics to environmental stresses, from ground level to outer space, and has essentially the same properties as a solid piece of the same material. 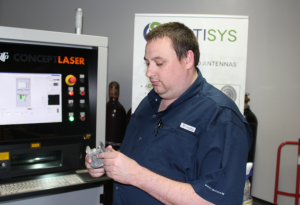 So you might say that the final 3D printing process is the easiest stage of Optisys’ systems-engineering approach to antenna production. How do they come up with their best designs to go into the printer? Image 7. 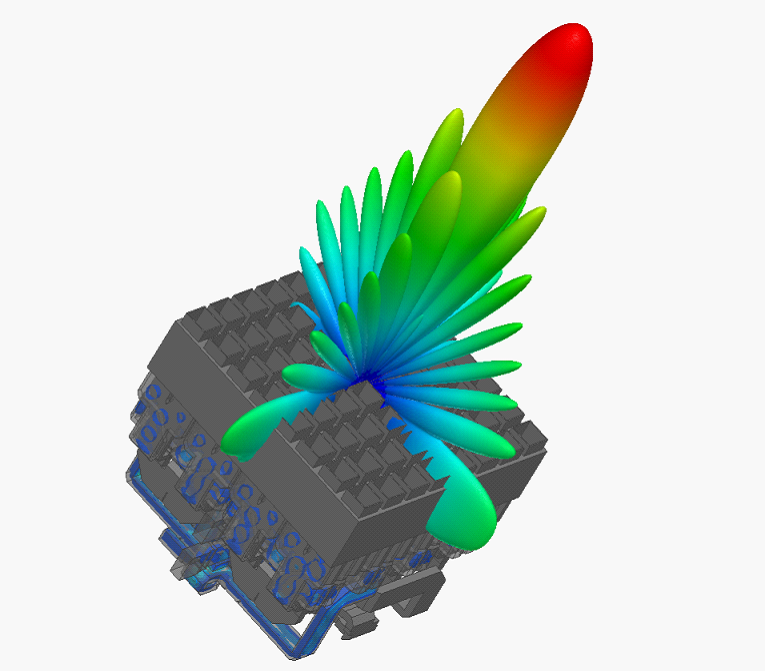 High-frequency electromagnetic field simulations are used to analyze and optimize 3D printed antenna designs for maximum RF performance. Image 8. 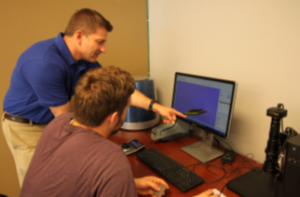 Optisys COO Rob Smith reviews support design for an antenna. Image 9. Optisys CEO Clinton Cathey examines a microwave waveguide “single-piece assembly” manufactured in the company’s Concept Laser machine.